New Jersey is the Garden State. With its vast tracts of suburbia, the nickname "Lawn State" is also apropos. Although a small state, its soils and terrain vary, so the best grass for one section of New Jersey is not necessarily the best choice for another. At the state's Rutgers University, turf specialists work on improving grass seeds for use not just locally, but internationally. Rutgers University grass specialists recommend mixing several types of grass seed for best results. Choose the best grass seed for your New Jersey lawn. While Kentucky bluegrass, or Poa pratensis, conjures up the image of thoroughbred mares and their foals frolicking in pastures, it is also a recommended grass seed for New Jersey lawns. The name is a misnomer, as it is native neither to Kentucky nor to North America, but hails from Europe and parts of Asia. Plant 2 to 3 lbs. of bluegrass seed for every 1,000 square feet of lawn. Planting seed toward the higher end of the scale establishes the lawn faster. Best seeding time is spring or autumn, although it can be seeded throughout the year. Another Rutgers University-recommended grass seed, perennial ryegrass or Lolium perenne, provides bright green color with fast germination rates. Sow perennial ryegrass at 3 to 5 lbs. for 1,000 square feet of coverage. With adequate rainfall or regular sprinkling, seeds should germinate in less than two weeks, and less than one week under ideal conditions. To flourish, this grass needs sufficient water, as it does not do well in dry conditions. It withstands heavy traffic and use. Southern New Jersey soils differ from their northern neighbors. In Ocean County, fine fescues are recommended by the county extension agent. 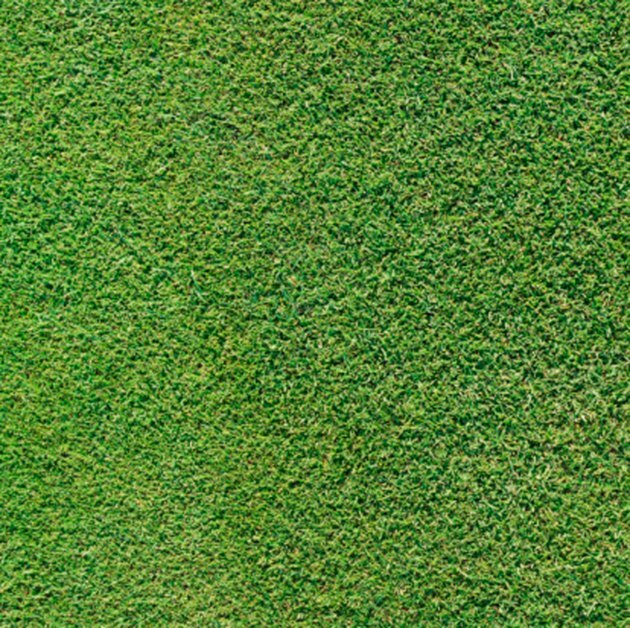 The three recommended types, which can be blended, are hard fescue, Chewings fescue and creeping red fescue. Hard fescue does well in the dry, sandy soils common in the region, but retain good green color with little need for fertilizer. Chewings fescues produces the most attractive lawn of these three types, while creeping red fescues suit shady areas. All three require relatively little maintenance.